Genuine carbon fiber cloth comes alive under a crystal clear poured resin topcoat. ZTechnik's close attention to precision fit means all edges will align to contours exactly. 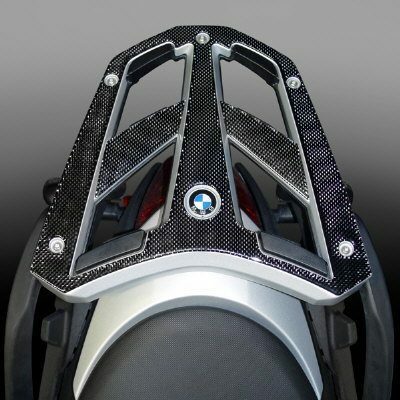 Kit includes one large formed accent piece for the rear luggage rack.